Synthetic biology pave the way to engineering the natural bio-systems and helping us broaden the way to making use of resources. International Genetic Engineered Machine Competition as the only one national competition we can take part in as undergraduates, it provide us not only a great chance to get to know this brand new field but also a platform to communicate with the worldwide students. 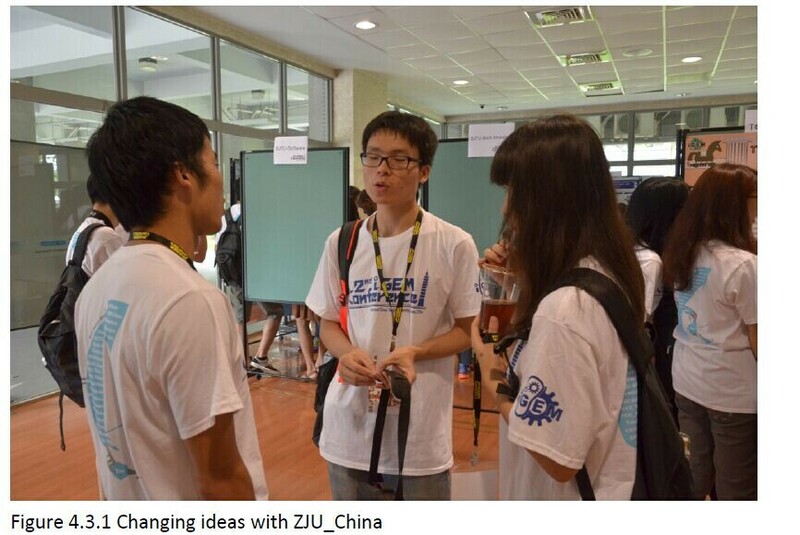 As we are the first team of Nanjing Agricultural University, we tried to communicate and collaborate with more team and exchange our idea this summer. 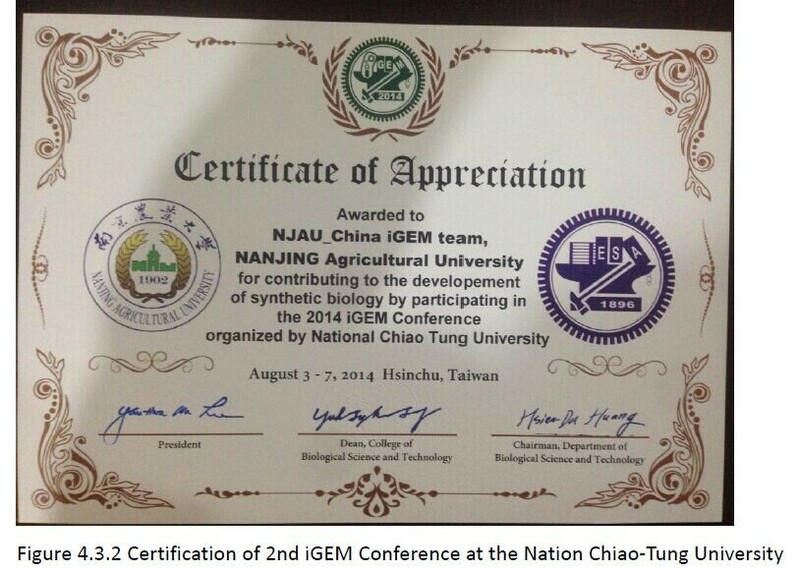 We came to Taiwan on August 3rd to 7th to attend 2nd iGEM Conference at the Nation Chiao-Tung University. During the conference, we shared our idea and communicate with more than 20 research teams and several software teams. Cooperation is an important element during the project. With the help of WHU-China for offering us Streptococcus thermophiles which contain gshF and dCas9 protein, we cast our idea more efficient. Besides the help of WHU-China, we also have a tight connection with CAU_China.They offer our team the protocol about gene synthesis, which helped us a lot about GSH part. As we have done lots of experiments about detecting florescence intensity to verify the function of our device, we give our protocol about the method to quantized the expression of GFP, our team members Xu Xuan is familiar with this experiment, he also give some suggestions their project about rpaⅠ. Via frequent communication and disscution, we both gained progress and excellent suggestions.